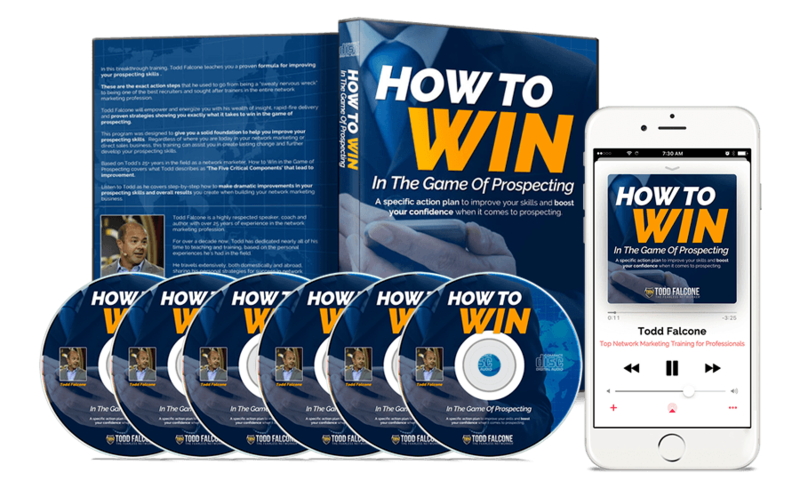 A specific action plan to improve your skills and boost both your confidence when it comes to prospecting. 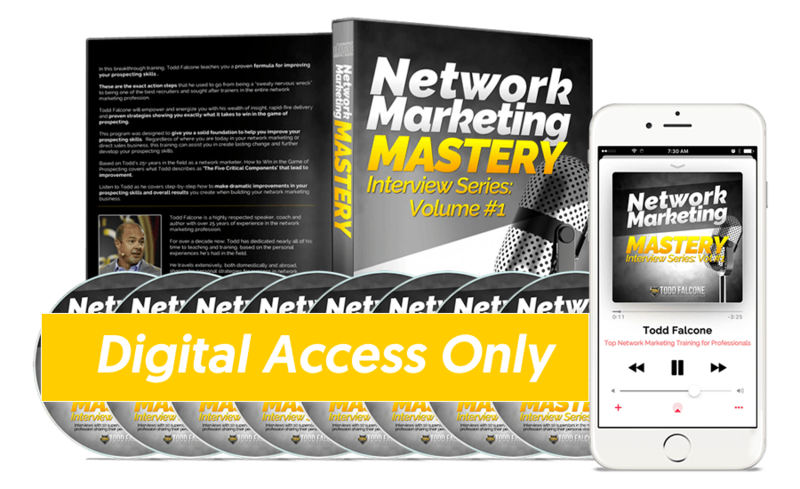 Become a master connector, crush it in your follow up routine, easily overcome any objection and start closing more business now!. 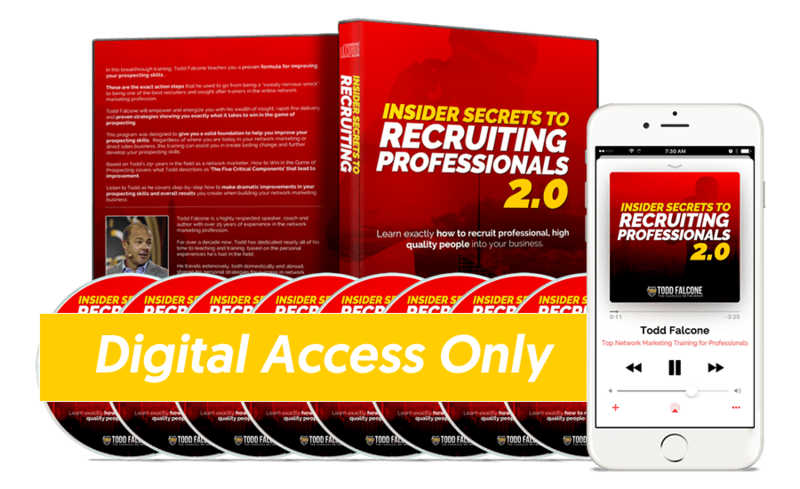 Learn exactly how to recruit professional, high quality people into your business. 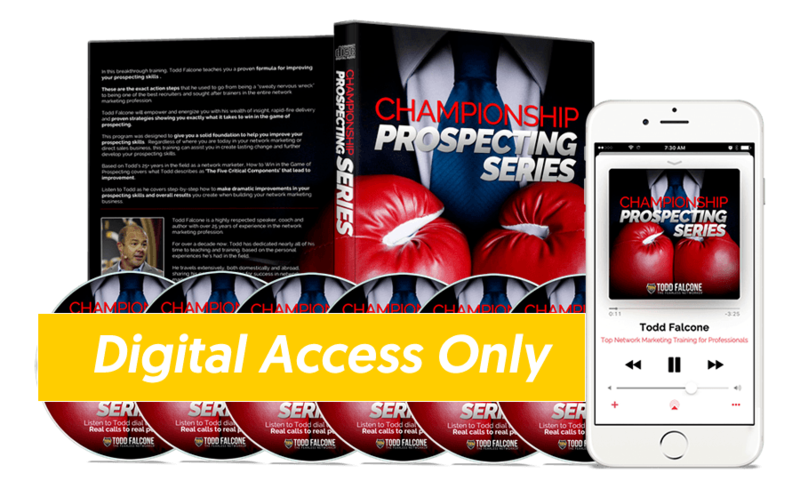 Listen to Todd prospect REAL professionals right in front of you, and model exactly the way he does it. 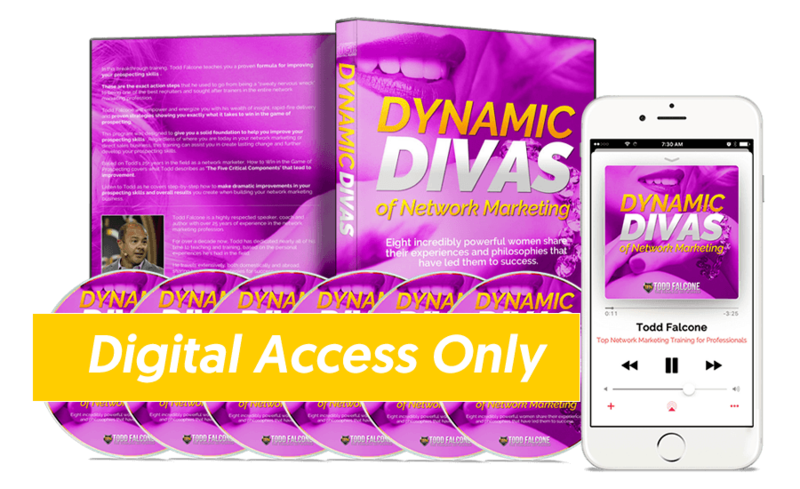 Eight incredibly powerful women share their experiences and philosophies that have led them to success. 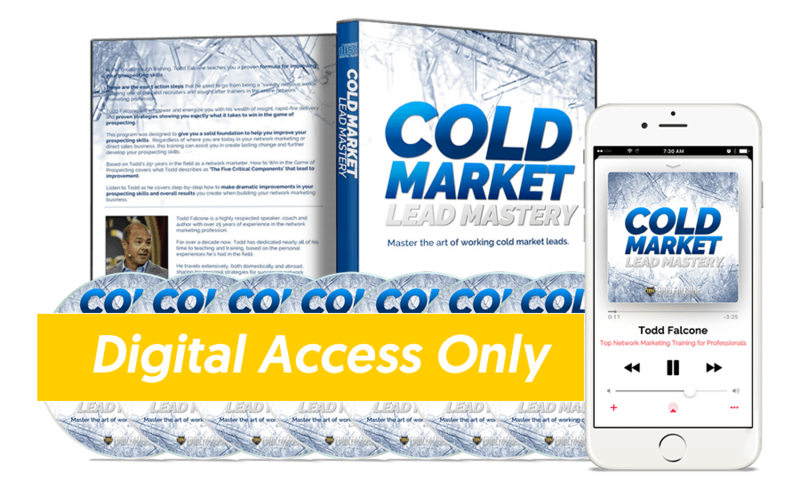 Master the art of working cold market leads. 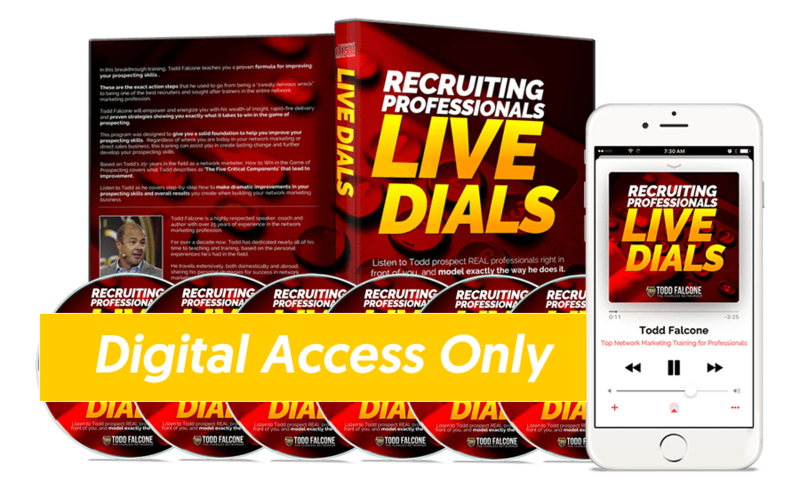 Listen to Todd dial leads live. 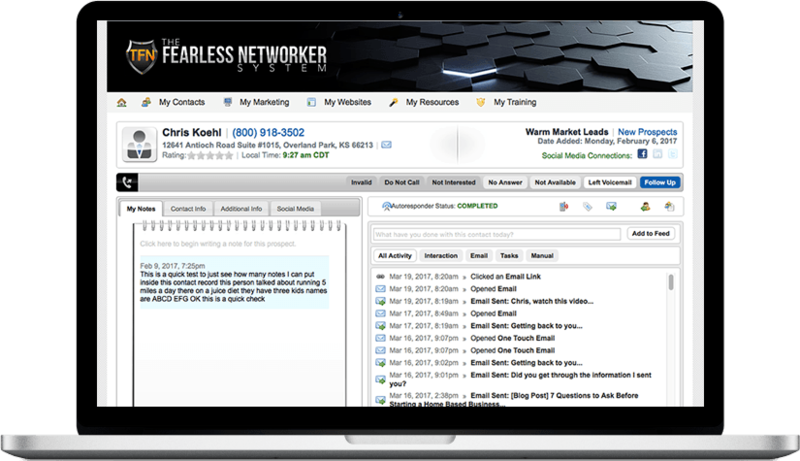 Real calls to real people! 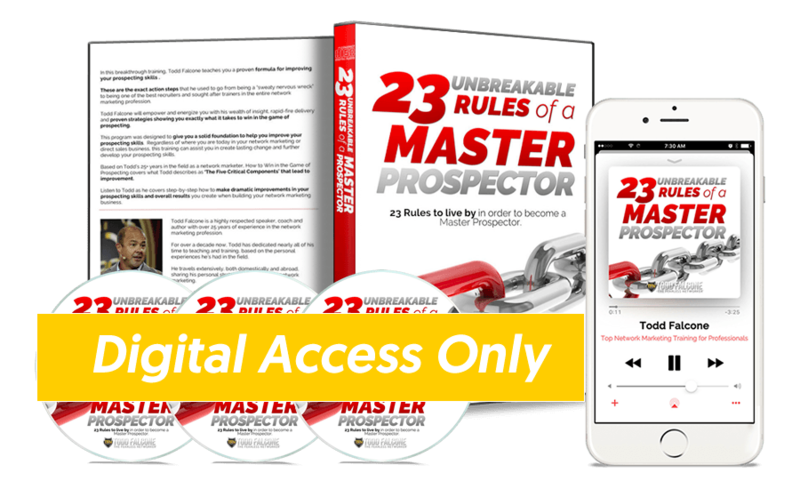 23 Rules to live by in order to become a Master Prospector. 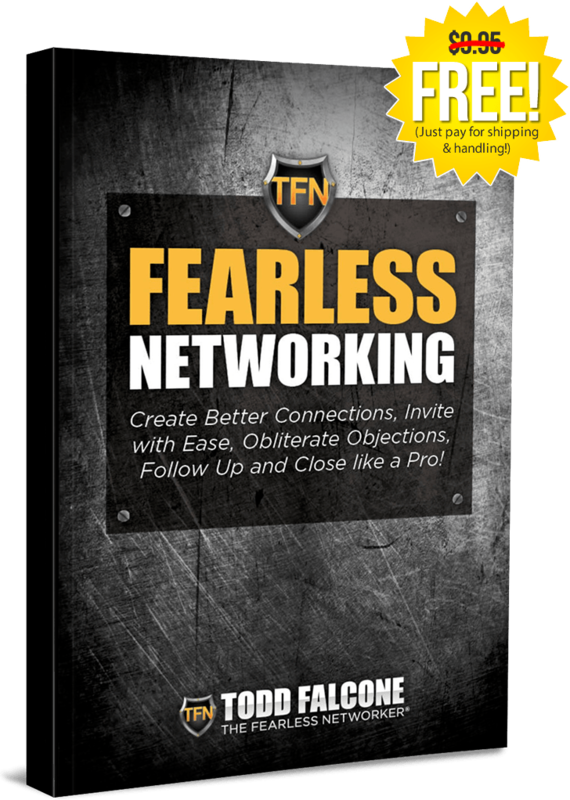 Interviews with 10 superstars in the network marketing profession sharing their personal strategies to success! 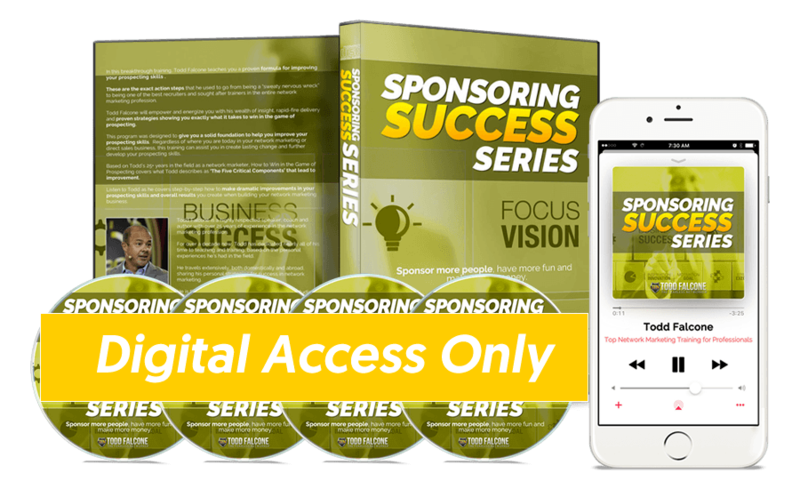 Sponsor more people, have more fun and make more money. 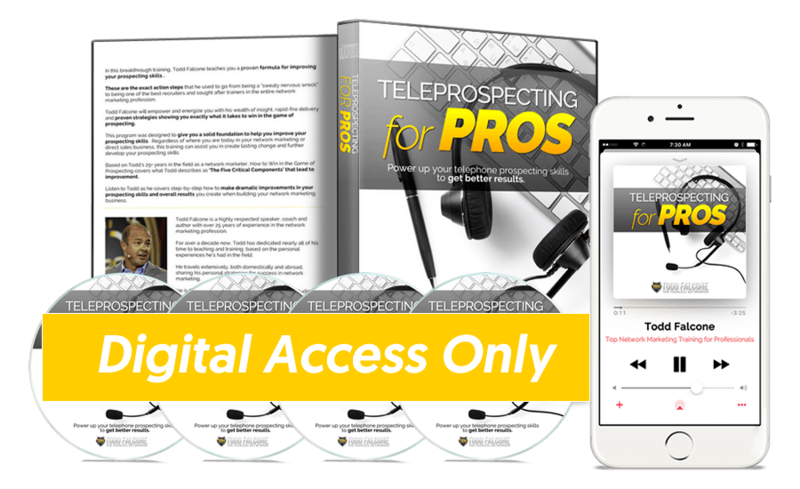 Power up your telephone prospecting skills to get better results. 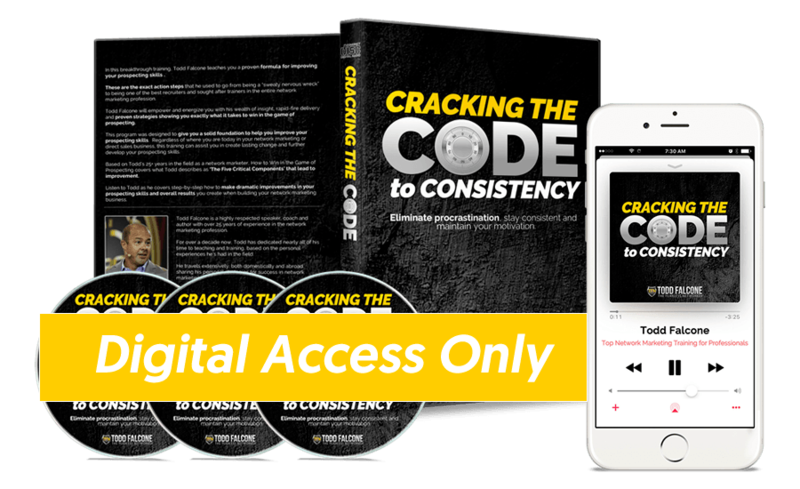 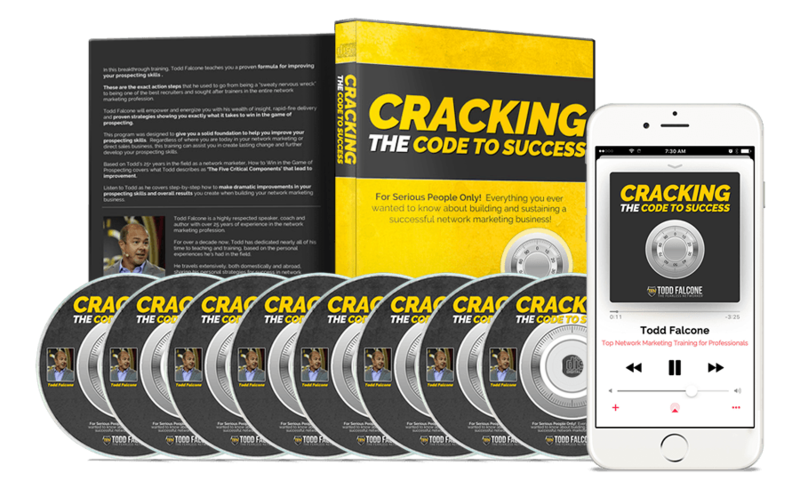 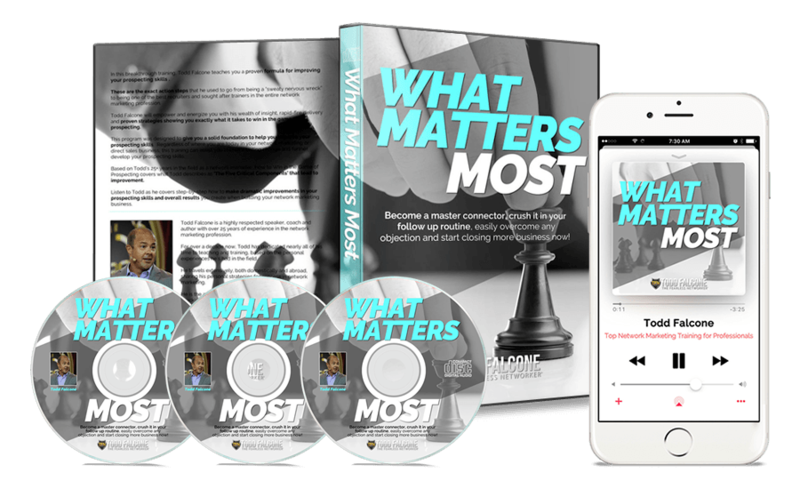 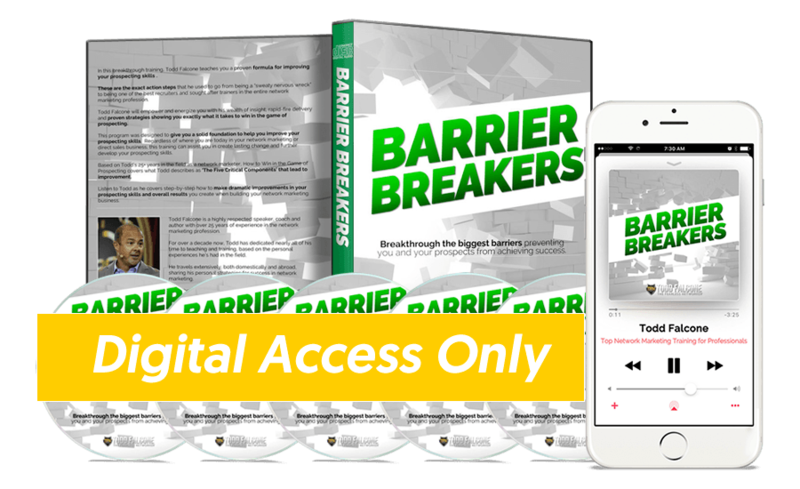 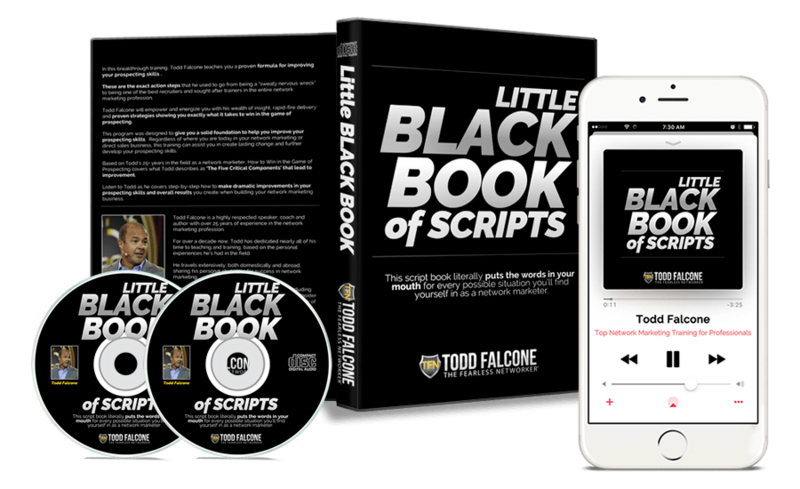 Breakthrough the biggest barriers preventing you and your prospects from achieving success. 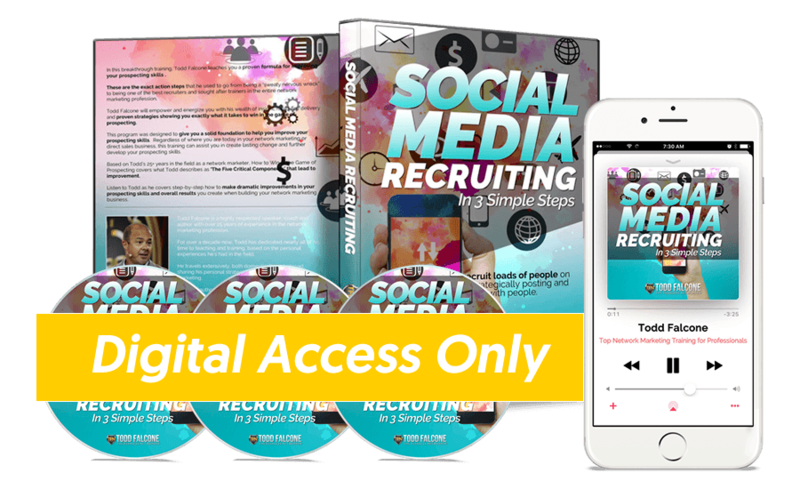 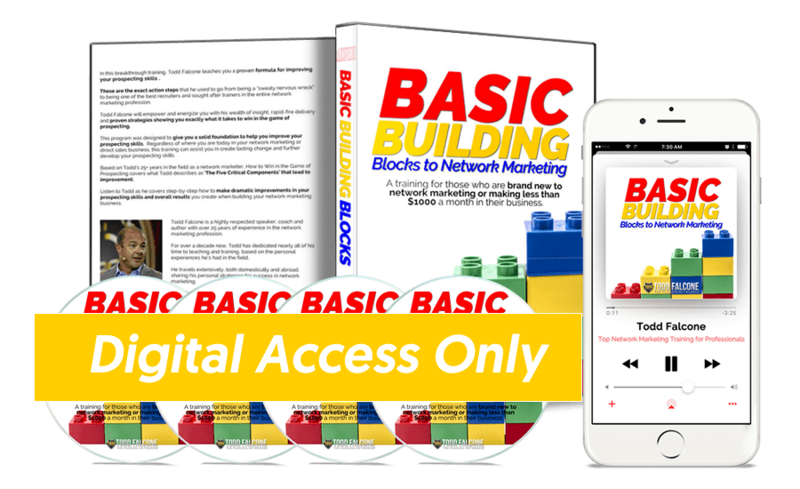 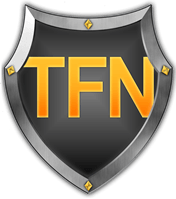 Attract and recruit loads of people on Facebook by strategically posting and engaging with people..
A training for those who are brand new to network marketing or making less than $1000 a month in their business.